Submission FC is a company born and bred on the BJJ mat. From the very beginning in just a short amount of time , Submission FC went from being a BJJ enthusiasts dream to the forefront of innovative BJJ gear. For the past few years Submission FC has been a staple in the production of BJJ Kimonos and no gi grappling gear. Shakib Nasiri was kind enough to answer a few questions we had regarding the future of BJJ, new products coming out of Submission FC and other questions we were curious about. Hi Shakib, first off i wanted to let you know that what you are doing for the BJJ community is awesome, getting the word out on your BJJ Gi’s one fighter at a time sounds like a great grassroots campaign for your company and we thank you for taking the time to answer a few questions regarding your BJJ Kimonos. First off we wanted to know , How did you get into the grappling/BJJ world?
. I have been hooked ever since. knowing ( at the time ) how much of a true legend he is as a fighter and as a coach. today are being made of Hemp, How did the idea behind a Hemp Gi come to you was it something you had thought of thoroughly? the exact same gi with their logo on it, which i believe shows a lack of creativity. So i was determined to create a new niche and dominate it and be different than every other bjj gi brand out there. I started researching like crazy on fabrics that are possible to use for a bjj gi that no other brand has come out with . Finally i stumbled upon the Hemp fabric . Every other gi is made of 100% cotton when hemp is 4x stronger & 4x softer than cotton . So i thought this would be the best fabric to use for a bjj gi , it will change the ways gi’s are made forever! Took me almost 2 year to find a good supplier, but it was all worth it! Thats so cool, we never knew so much went in to having an idea, researching fabrics and finding a reputable manufacturer. Shakib, Submission Fight Co. has been a prominent name in BJJ and just about every grappler has either heard of, used or been sponsored by your company. 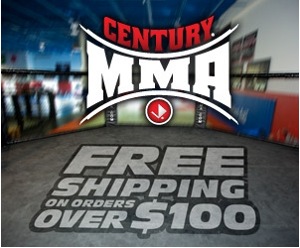 What fighters does Submission FC sponsor and do you do any MMA sponsorships? that come along. And speaking of progress Shakib , Do you see the BJJ community as a whole growing, staying the same or fading in the next 10 years? , some even in the same areas of other bjj schools. Jean Jacques Machado academy where i train has even moved to a 4x bbigger place last year and it is still packed in there when it comes time for training. Do you think it’s a good idea for BJJ Gi/apparel companies ( including Submission FC ) to do pre-order sales ? them. It’s almost as if that when people get the gi in their hand , they realize it’s not that great , the hype dies, and sales don’t just drop they stop. and keeps it in stock for at least over a year then hey, in my opinion that would be ok.
people attest to the quality of their new product. used to training 3-6 x a week? the gi brands discontinue the product. This shows no confidence in their own product. , when that happens what can we expect from Submission FC in the future? of any other brand(s). So next , we are introducing the worlds first ever Mini Gi Hanger! I’m sure you’ve seen many boxers hanging boxing gloves on their rear view mirrors. Well now you can do the same with your Jiu Jitsu Gi! check it out or put your name on the list to be notified of the release here’s the link.
. I’ve tested them myself and they are easily the softest bjj belts you will ever find ! As you know we are the leader in Organic Hemp BJJ Gi’s . but we are not stopping there. We are working on introducing many other organic fabric materials for bjj gis and other bjj gear! Like i said before , i love to be innovative and that’s what i will be doing with the creation of our newest gis and bjj gear. I can’t give more info than this, wouldn’t want too much information to spill. If you’d like to know more i’d recommend adding us on facebook & twitter and of course our email list. We will be keeping everyone updated on our newest releases on our email newsletter and social networks. give a discount code of 5% just for reading the interview!